Accountant/ Bookkeeper and 20 years experienced. Specialise in Limited Company, Sole Trader, Medium and Small Business. Professional and Reliable Accountant based in North London....Read moreAccountant/ Bookkeeper and 20 years experienced. Specialise in Limited Company, Sole Trader, Medium and Small Business. 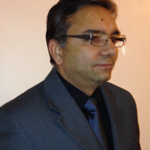 Professional and Reliable Accountant based in North London. We serve to the client of all over the country. Our Self Assessment starts from £75 plus VAT, Company formation with Bank Account starts from £50 plus Vat. Opening Hours 10am to 7.00pm. Saturday 10am to 2pm. Solicitors, Care Home, College, Ballet School, Construction company, IT Company, Estate Agent, Travel agent, Medical, Doctors & Nurse, Contractors, CIS, Freelancers, Restaurants, Cosmetic Clinic, Hair & Beauty Saloon, Whole sale and Retail Businesses. Event Organiser, Financial Adviser, Non-Residents and Landlords etc.